Spreading the Live for a Living vibe on TV, in the newspapers, on the radio, and online. By now, you have probably figured out that Live for a Living is deeply rooted in living every day to it's fullest. This approach to life opens up all kinds of opportunity to do new, unique, and interesting things, and people tend to take notice. On March 16, 2018, I begin running from from Manhattan to San Francisco spreading the message of hope for victims of child abuse. My goal is to raise $1 million to be applied as grants for organizations actively working to prevent and treat those afflicted. Photo: Living for a Living founder, Christian Griffith, has partnered with Help For Children, for this transcontinental run. Catch the i24 news interview for run2heal with Michelle Makori. Learn more about "The Selection" contestant Christian Griffith in this web exclusive. History Channel brought 40 athletes to Los Angeles to put us through the rigors of military special operations training to see if we had what it took to make it. Arguably the most difficult and profound event in which I have participated, I emerged victorious as one of only four finishers to complete the training over 12 days in the desert. 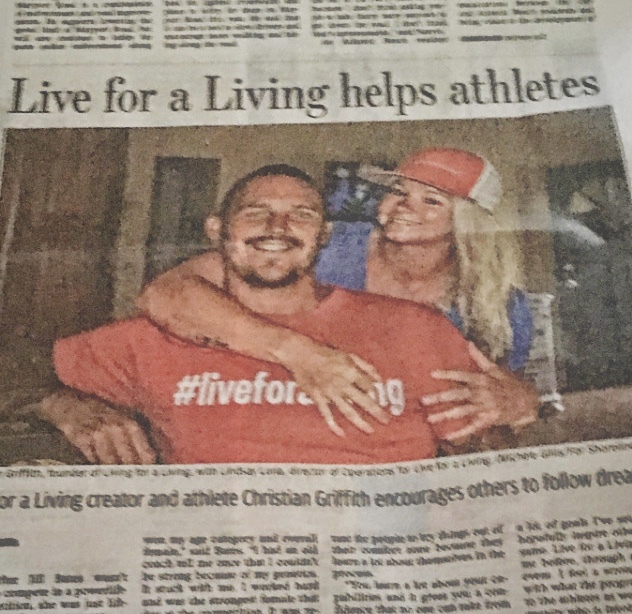 The Florida Times-Union newspaper did a very deep, in-depth interview with us titled, "Live for a Living Helps Athletes." The story did an excellent job showcasing how we got here, why we do what we do, our unique approach to business, and how Lindsay has single-handedly created a popular program to help change people's lives. Thanks, Times-Union. 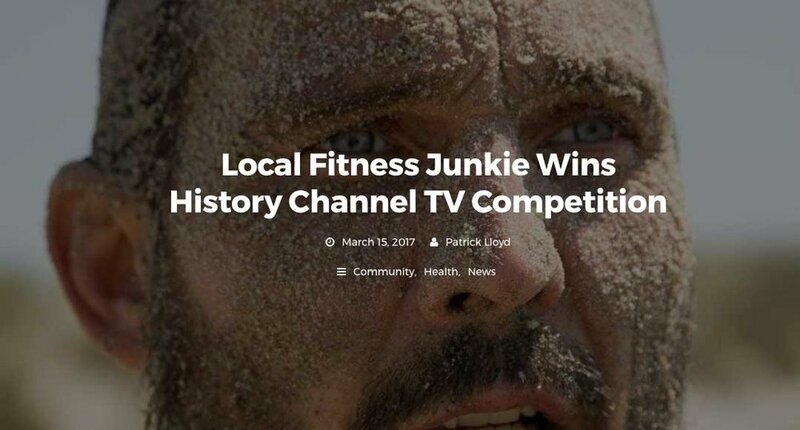 When we decided to move from California and set up shop in Jacksonville Beach, popular local publication, VOID Magazine did a story on my successful completion of The Selection: Special Operations Experiment, the reality documentary competition on History Channel that profoundly changed my life as a man, an athlete, and a partner. One of the very first #liveforaliving interviews. Christian talks about cheating death and the life changes and new perspectives that came from standing at death's doorstep. Interviewed by Matt B. Davis at Obstacle Racing Media on finishing the Selection, experiences on the show, and a personal fight against child sexual abuse. NomadX | Work. Play. Live. The digital nomad movement is growing and fits in perfectly with the #liveforaliving vibe. We ventured to Lisbon, and the quaint European beach community of Arrifana, both in Portugal, to promote the digital nomad lifestyle with entrepreneur Dave William's and his new company NomadX. Survival Run Australia is one of the events in the Fuego Y Agua Survival Run portfolio consisting of Nicaragua, Canada, and Buckley's Chance in Queensland, Australia. With a finish rate hovering around 8% for the entire Survival Run Series over the years, it can be one of an athletes most difficult challenge. Although I was able to complete Survival Run Australia, Nicaragua still alludes me. 1 and 1 in Australia, but 0 and 1 in Latin America.